This August at the National Library of Ireland, Eneclann and Ancestor Network will host a feast for family history fans! It’s the return of theTwentyx20 lunch-time talks.We have assembled a veritable smorgasbord of experts to unlock the richness of Irish family history. Each talk is a short introduction to a key area, source or research method in Irish family history. The Q&A session will give you direct access to the experts, to take the mystery out of family history. Talks start after 1 p.m. every weekday in August. Click here to see the full list of our speakers. This monthsIrish Lives Remembered Online Magazine is now out! 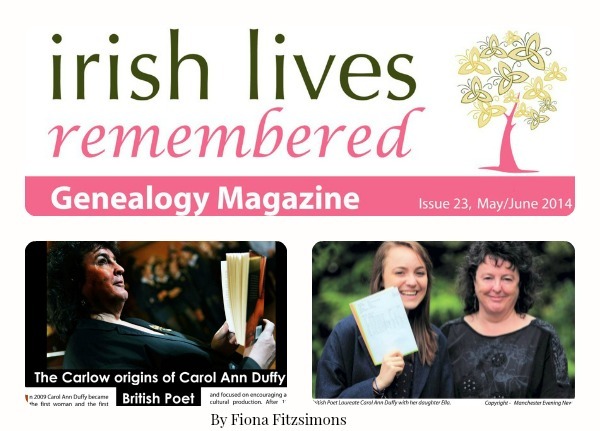 featuring a three page spread byEneclann Research Expert and Director Fiona Fitzsimons on “The Carlow origins of Carol Ann Duffy, British poet Laureate”, on pages 14&15, Also In this months issue you can read all about The National Archives of Ireland,FindmypastandFamilySearch and the release of pre 1901-Census Records, including many more wonderful articles from the world of Genealogy. Surviving Irish Census Records Covering 1821-1851 go online for the first time. 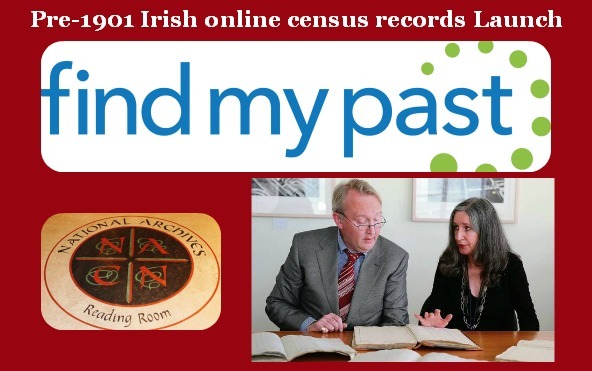 New and online for the first time ever inFindmypast’s 100 in 100 campaign, surviving Irish census records. Click the image below to head over to ourFacebook page and view all the images from The Launch of the Pre-1901 Online Census records in The National Archives of Ireland where Jimmy Deenihan, TD, Minister for Arts, Heritage and the Gaeltacht, Frances McGee, Acting Director of the National Archives of Ireland and our very own Brian Donovan were all there along with many more to launch these exciting new records. Hilary McDonagh and The Genealogy Summer School. This week we caught up with Hilary McDonagh Director ofIrish Ancestry who will be giving a number of interesting talks at the Summer school and asked him to give us a little idea of what he is all about. Sons & Children- Genealogy of Irish Childhood. Have a lookhereat the line up for this amazing summer school. justclick here to have a look and purchase. In this Months edition ofHistory Ireland Magazine, Eneclann’s own Fiona Fitzsimons takes a closer look at the records of the Military History Archive. “If you have a rebel in the family, or a Volunteer ancestor active during the Irish Revolutionary period 1913-1923, this is where you look.” These archives have further information for anyone with family in the Defence Forces since the foundation of the State. “History Ireland” is in all good newsagents and selected bookshops and available to buy now. “Let him be. He learnt the lesson of the land” – Bull McCabe. Irish people’s obsession with land and property, so beautifully encapsulated by John B. Keane’s play The Field and latterly in the film adaptation, is well known. It’s an obsession that any family history researcher would do well to embrace. When I first came to genealogy I knew my historical research skills would stand me in good stead, but I failed to appreciate the importance geography plays in the pursuit of ones ancestors. If you’re unfortunate enough to have an ancestor with a name as common as Mary Murphy, it is often geography that will help you select the records relating to your ancestor and avoid the doppelgangers. The majority of the record sources used by family historians have a geographic element to them and using these, as a means of narrowing your searches, is an essential part of research. Knowing your civil, parish and townland boundaries can make all the difference in identifying the correct record, not to mention saving time by looking in the wrong place. Don’t forget to check both sides of a boundary if you believe your ancestors lived near one. Equally don’t get too focussed on one location either, remember people did move about. So while the Bull McCabe may have had a different lesson in mind, the lesson for this researcher was that knowing your geography can make you a better historian. 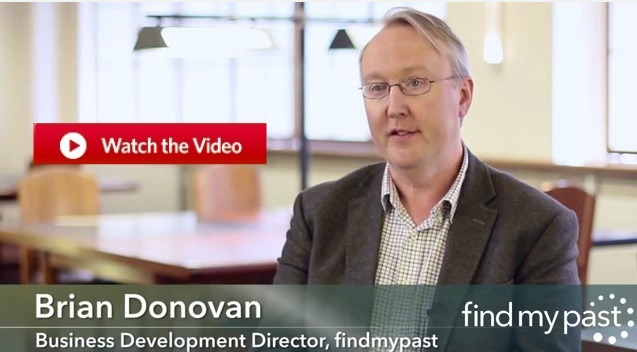 This entry was posted in News, Newsletters and tagged 1930'3 how to Trace your roots, advice, archive, Brian Donovan, British poet Laureate, competitions, Digital Downloads, email, Eneclann, Eneclann facebook, Family History, findmypast, Fiona Fitzsimons, Genealogy, genealogy talks, genealogyday2014, Hilary McDonagh Carlow origins of Carol Ann Duffy, History Ireland Magazine, Ireland, Irish, Irish lives remembered, Lorna Moloney, New census records, news, newsletter, online, publications, Reseacrh tips, research, Research experts, Research tip of the week., subscribe, subscription, The Genealogy Event, The national library of Ireland, Twentyx20 Lunch time talks, ucc genealogy summer school.